From the barnacles on the torii gate in Japan, to the crests in the windows above the United Kingdom shoppes, the subtle details of World Showcase are what give you that feeling that you have indeed stepped away from Walt Disney World and are on the cultural journey of a lifetime. And I needed to take a moment to step out this evening, something outside of programs, directions for guests, and wedding party gifts, and wandering through little seen pleasures in World Showcase seemed like a pleasant way to free my mind from thoughts of ball and chain ceremonies. 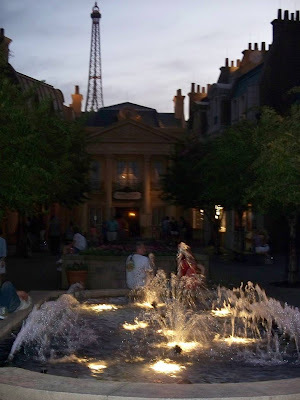 Since I have talked about various pieces of the pavilion before, it should come as no surprise that my favorite country in World Showcase is France. 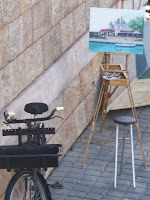 With it’s tasty pastry, beautiful fountains, wine, lavender, and street side art, it isn’t a wonder that I can spend hours just watching the world go by in France, as if I were a true Parisian. To be fair, my grandmother was born and raised in France, so I am somewhat biased in my opinion. 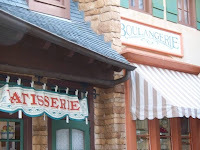 But with little niches like these, can you really blame me for wanting to stop my worldly wanderings back in this little corner of World Showcase?